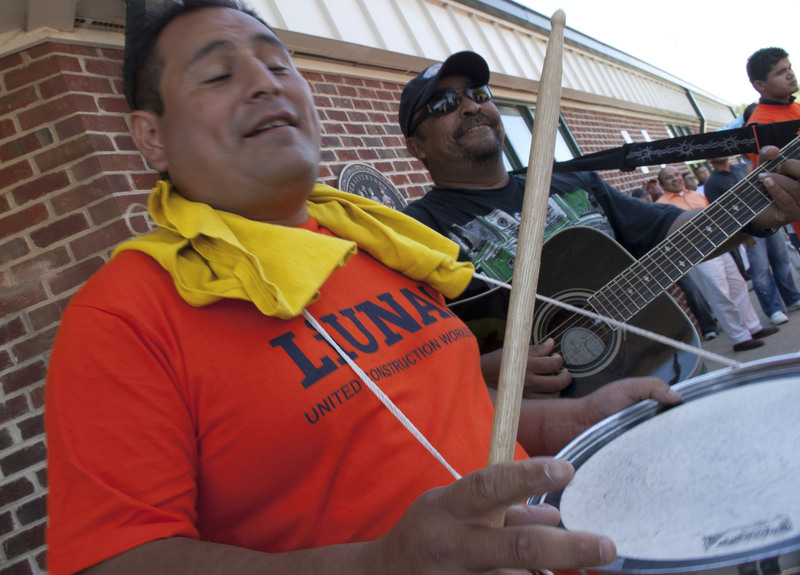 Arlington Va- To protest Virginia Governor Bob McDonnell’s draconian, heavy handed and ridiculous assault on the immigrant community, Tenants and Workers United staged a protest in front of the Arlington, Virginia branch of the DMV on Wednesday, September 15, with nearly one hundred people and members of LiUNA present in solidarity. 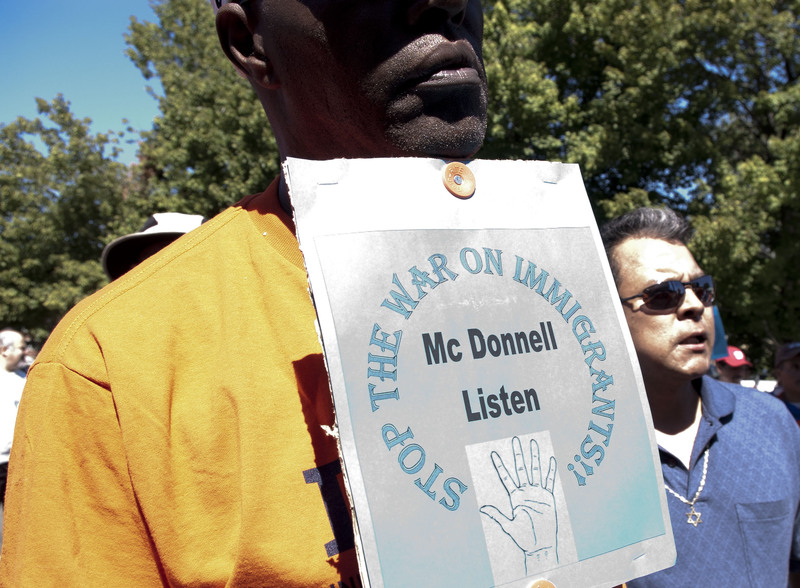 McDonnell dropped any pretense of “only targeting illegal immigrants” by specifically assaulting the rights of legal, documented immigrants by disqualifying the government-issued “Temporary Protected Status” card as a form of acceptable identification to obtain a driver’s license. In the wake of the deaths of three Benedictine nuns by a Bolivian national who was driving under the influence, McDonnell ordered the Virginia DMV to disqualify the “Temporary Protected Status” card as an acceptable form of government-issued identification for people to obtain driver’s licenses from the state of Virginia. The TPS identification is the primary (and in many cases, only) proof of legal residency for asylum seekers or other people who are legitimately working through the immigration system. The “law and order” facade of the anti-immigrant movement continues to wear thin. How do they expect anyone to have any respect for the law when they make it a crime to be brown?